In Africa there are many misconceptions about HIV/AIDS: how a person gets AIDS, how it is spread, and solutions to the problem. Misconceptions have led to a fear and avoidance of speaking about HIV/AIDS. Those with the disease are shunned, their families often ostracized. Reach The Children Kenya works towards HIV/AIDS prevention through the Stay Alive™ HIV/AIDS Prevention Program. Stay Alive is an eight-week HIV/AIDS prevention education program that teaches children consequential thinking and empowers them with decision making skills that will help them avoid contracting the HIV virus. The Stay Alive program targets children during the “Window of Opportunity” (ages 9-14) before children become sexually active. The program includes a three-prolonged approach, which involves teachers, students, and parents/guardians. Evaluation considers the parental/guardian component of Stay Alive to be the key to the program’s success and the essential element that makes the program sustainable. The Stay Alive Program implementation is designed to take the following length of time. Parents/guardian training: Two week after workshop. 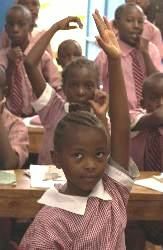 In its Stay Alive program, RTC has trained thousands of 9 to 14 year-old school children, teachers and youth leaders in 3,607 primary schools where, 4,197 parents and 8,646 teachers have been trained since 2001. A total of 298,043 children are in the Stay Alive Program out of which 93,467 have been awarded the certificates of successfully completing the course. Religious Organization such as Redeemed Gospel Church and Anglican Church have also taken the program to their Sunday schools, they all want to save their children. The subject matter of the Stay Alive Program is to assist children in choosing abstinence before marriage and fidelity to one’s spouse after marriage.